A great local alternative to “corporate” coffee shops! 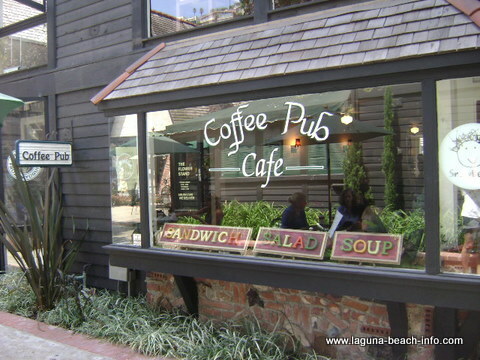 When your looking for Laguna Beach coffee shops- Coffee Pub is a great alternative to the corporate caffeine experience that many of us have become accustomed to at countless Starbucks throughout the world! This North Laguna treasure serves Deidrich coffee as well as breakfast and a wide variety of salads and sandwiches. The prices are reasonable and the food is excellent! As far as coffee goes, I have a bit of a sweet tooth- so I recommend the “dinosaur”! This espresso, rum sauce, Ghiradelli chocolate and mint concoction is like dessert in a cup! Speaking of dessert, they also offer Snowberry frozen yogurt- which I haven’t tried yet… so if you have, let me know what you think!!! And yes- for those of you who don’t share my addiction to sweets, this Laguna Beach coffee shop also offers teas, chai, and other standard fare! With free wireless and lots of comfy seating inside plus outside seating to enjoy the ocean breezes, this place is a coffee-holics dream! Share Your Coffee Pub Experience! Do you have a great story, experience, or photos from Coffee Pub? 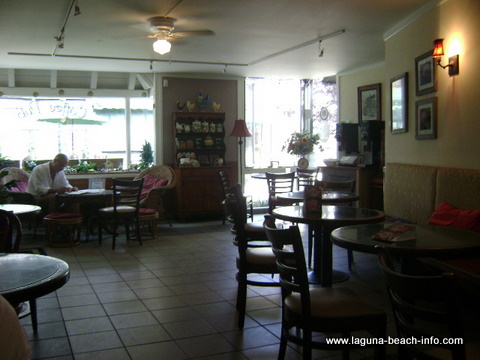 Share your stories and pictures from this Laguna Beach coffee house and local hangout!